Henry, the second son of King Henry VII and Elizabeth of York, was born on 28 June 1491 at Greenwich Palace. After the death of his elder brother Arthur in 1502, Henry became heir to the English throne. 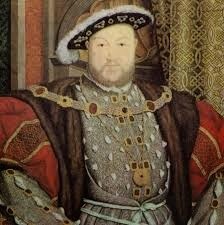 Henry was the King of England who had six wives. But Henry did lots of other things besides marrying six times. He wanted to make England strong. Most of all, he wanted a son to be king after him. Here you can find about his 6 wives.